As industries such as engineering, tech and pharmaceuticals struggle to find talent, one way to help bridge that gap in the future is by making STEM appealing to young girls in the present. Steminism, a movement to increase the presence of women in science, technology, engineering and mathematics, has emerged alongside the recent resurgence of feminist activism, aiming to challenge career stereotypes. Fashion and toy brands can play a leading role in opening up the minds of young girls to career possibilities and confronting girly standards of pink frills and princesses. One example is Irish company Arklu’s range of Lottie Dolls which includes a “Stargazer” doll. Clodagh Connell, the founder of Hello Bezlo which offers STEM-inspired clothing for girls, says: “Too often, girls grew up believing that STEM subjects are just for boys. So how can young minds conceive of a path towards a career in STEM? Clodagh says positive role models are crucial. Hello Bezlo’s website features female STEM role models from all over the world. “We want to help young girls realise that anything is possible for them. She cites Sally Ride, the first American woman in space: “You can’t be what you can’t see”. Norah Patten, aeronautical engineer and astronaut candidate, is inspiring young girls across Ireland to follow their STEM-related dreams. Norah, who previously told WMB that the days of pink Lego are over, recently founded Ignition, an engineering outreach programme for primary school students. Role models on the screen have an impact too. Dr Alice D’Arcy of STEAM Education was a fan of the X-Files growing up. Commenting on the “Scully effect” – where girls who watched the sci-fi television series were more likely to follow STEM careers – she says she was inspired by the show’s protagonist, Dana Scully, a medical doctor and FBI agent. However, Alice, who was a finalist in the 2017 WMB Social Entrepreneur Award, is sceptical about the value of “celebrity role models”. The scientists and engineers who co-teach our primary schools programmes credit their parents, teachers, and experiences or hobbies for inspiring them, she adds. Despite progress in this area, outdated perceptions persist. According to a 2015 Accenture survey of girls and young women, 30% said STEM subjects were better suited to boys’ abilities and interests. CAO statistics from 2017 show that, apart from biology, where girls outshine boys, female students are still reluctant to take up science subjects and maths. The numbers of girls sitting higher level physics was 1,743 girls – well below the over 4,500 boys. But the figures are improving: there was a 9% rise in the numbers of girls taking honours chemistry in 2017. Lack of awareness of the potential opportunities in these fields is a key issue. Another study in 2018 of STEM undergraduates at the University of Limerick found that almost one third were unaware of the types of jobs they could apply for. Young women were the least aware: of the 29% of respondents, 67% of these were female. The Accenture research indicates that parents and teachers have the greatest influence on female students’ choices of subjects and career aspirations. 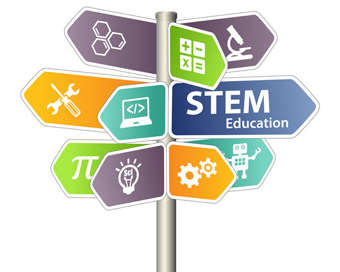 But parents are often unaware of the opportunities and diversity of roles available in STEM fields. Cpl has worked with Smart Futures – a Science Foundation Ireland initiative which provides Stem career resources to students, teachers, guidance counsellors and parents – to promote STEM careers to the next generation. The benefits for companies in industries such as tech and pharmaceuticals are clear. Jennifer Navan says STEM initiatives help to fill the talent gap providing “highly educated and enthusiastic young people” for roles in these fields.